So recently I made some Lemon Cookies. My oldest loves all things lemon but my youngest is not a lemon lover. So I had to make a something that she would love as well. 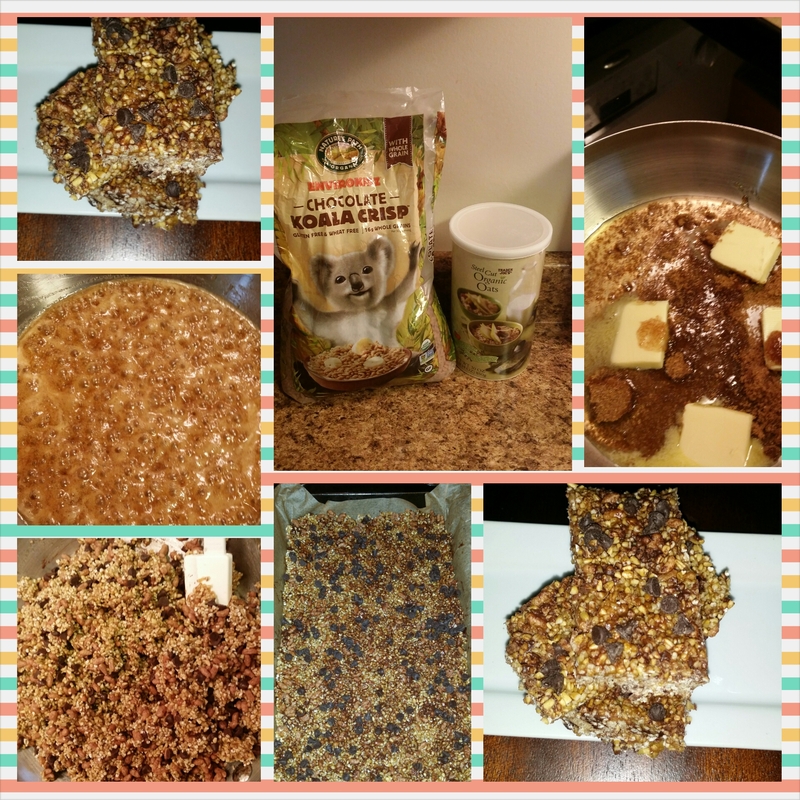 This is such an easy no bake sweet treat. Let’s get started. In large saucepan, heat butter, sugar and honey over medium heat. Bring to a boil, reduce heat to simmer and continue to cook about 2-3 minutes (until sugar is completely dissolved). Remove from heat. Add in oats, rice Krispies and chocolate chips. Mix well to evenly incorporate. Press into a parchment lined 13×9 pan sprinkle chocolate chips across the top. Refrigerate for about 15-20 minutes. Cut into bars. I love this easy to make recipe and I hope you will give it a try and enjoy it as well. These look good!! Processed granola bars have so many ingredients!! Thank you…..the goal is to give my daughter’s as little processed food as possible. While still having the thing’s they enjoy.